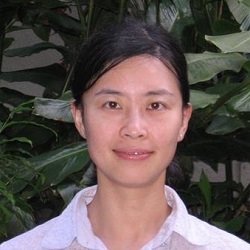 Xin Fang joined Hawai’i Pacific University in Fall 2011. Prior to that, she was a visiting assistant professor of economics at the University of Illinois at Chicago. Her first degree is in international insurance from Central University of Finance and Economics in China in 2001. She holds a M.A. in economics from Tufts University and a Ph.D. in Economics from the University of Illinois at Chicago. Her major fields are industrial organization, international economics, and applied econometrics. Applied Microeconomics, Innovation and Market Structure. Principles of Economics, Intermediate Microeconomics, Industrial Organization, Managerial Economics, Business forecasting.